An incredibly rare opportunity to purchase a large older style semi detached family home situated on this quiet and select cul-de-sac in the sought after Gunton st peters locality. Offered in excellent order and with gas fired central heating and sealed unit double glazing this perfect home provides spacious well-proportioned living accommodation which includes a contemporary fitted kitchen/diner separate lounge, sealed unit double glazed conservatory together with 3 good sized bedrooms and modern white bathroom. 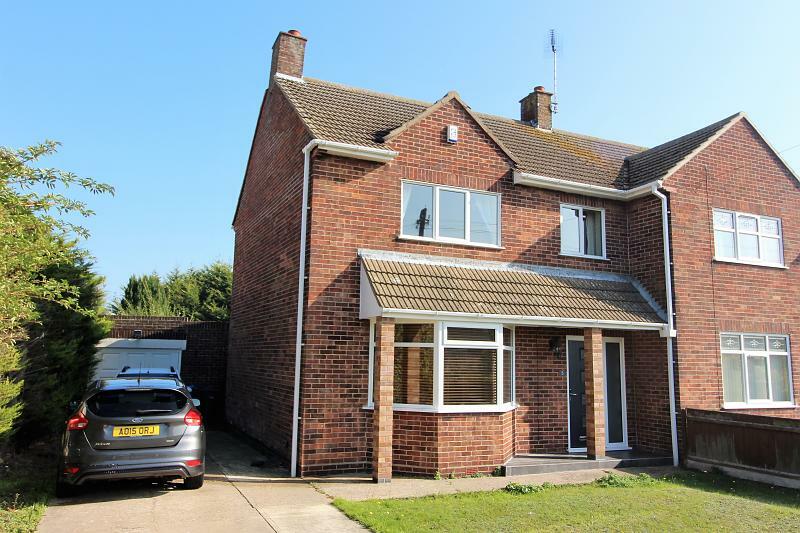 Outside the property is complemented by ample off-road parking and brick garage together with a large secluded lawned rear garden for outdoor entertaining and providing ample space for additional extensions (stp). 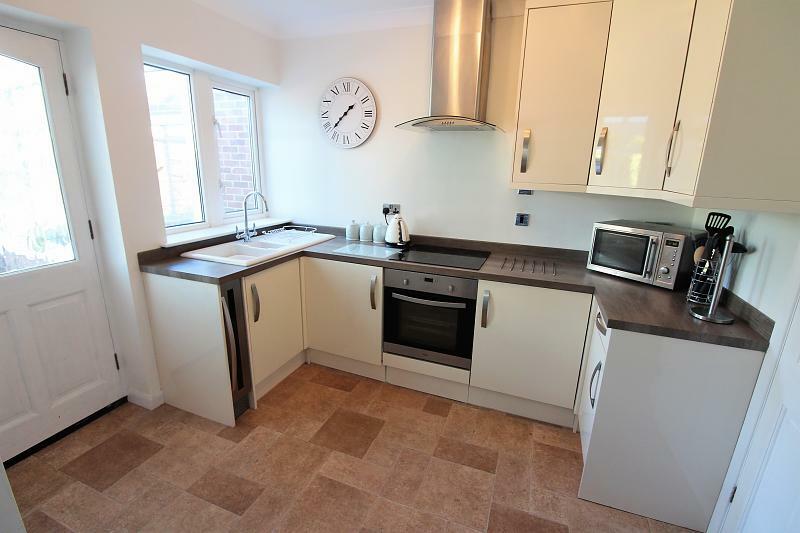 It is not often that properties in this location, offered with no onward chain become available and an early internal inspection is highly recommended to avoid disappointment. Composite sealed unit double glazed entrance door, matching side panel, carpet and carpeted stairs to 1st floor, radiator, chrome plated power point, under stair cupboard. 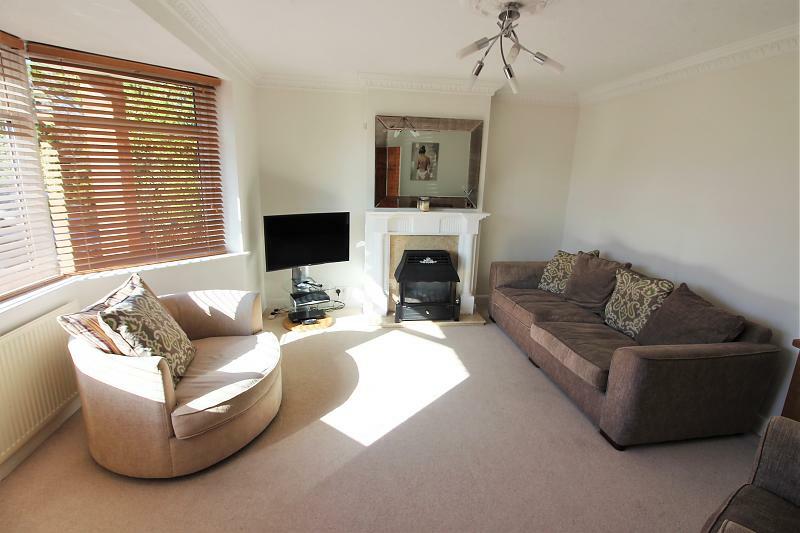 Large sealed unit double glazed bay window, radiator, carpet, power points, tv point, coal effect living flame gas fire set in marble inlay with matching hearth and wooden surround. Kitchen Area Inset Enamelled one and a half bowl single drainer sink unit With high glossed cupboard and wine cooler beneath, L-shaped worksurface to side with matching cupboards and drawers, inset ceramic hob unit, fan assisted oven beneath, range of matching wall mounted cabinets, stainless steel extractor hood, chrome plated power points, vinyl floor, fitted pantry cupboard with gas fired combination boiler. Vinyl floor, power points, radiator, sealed unit double glazed window. Pitched polycarbonate roof, sealed unit double glazed windows overlooking rear garden, matching rear entrance door, radiator, power points, laminate floor covering. Carpet, chrome plated power point. 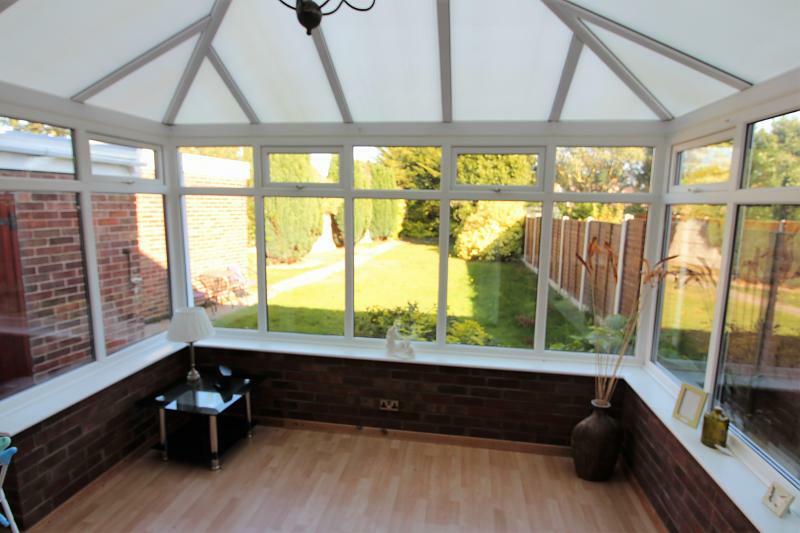 Carpet, power points, sealed unit double glazed window, radiator. 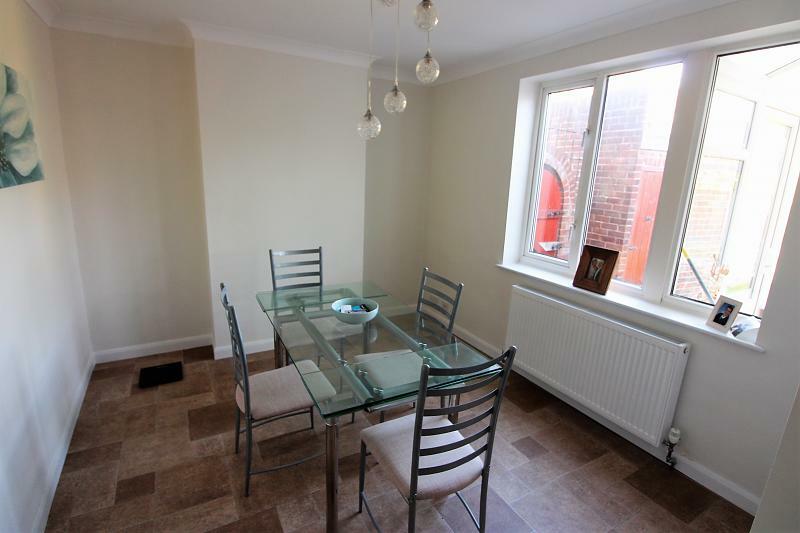 Carpet, power points, sealed unit double glazed window over looking rear garden, radiator, built in storage cupboard. White suite comprising panelled bath with contemporary waterfall effect mixer tap with shower attachment, pedestal wash basin, low level w.c, sealed unit double glazed window, half tiled walls, radiator. 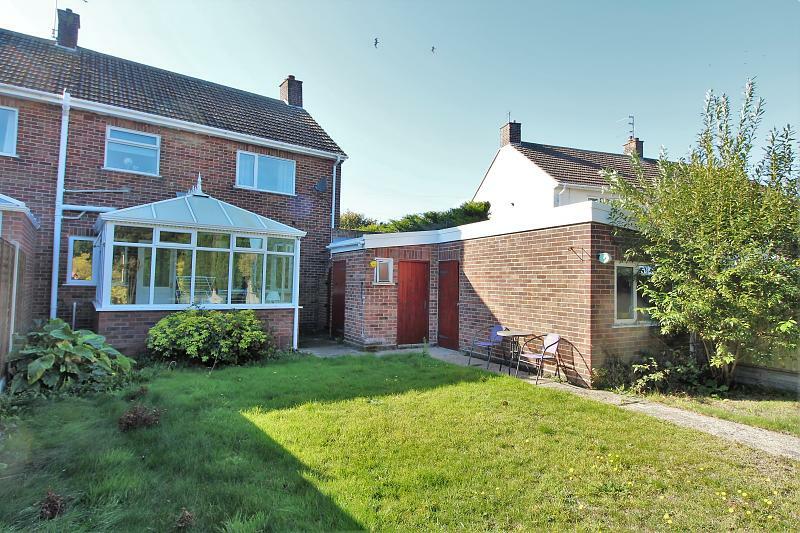 Wide enclosed lawned front garden with low brick wall, long concrete drive provides ample off road parking and extends to a brick and fibre glassed roofed GARAGE with power, light, up and over door attached brick shed. 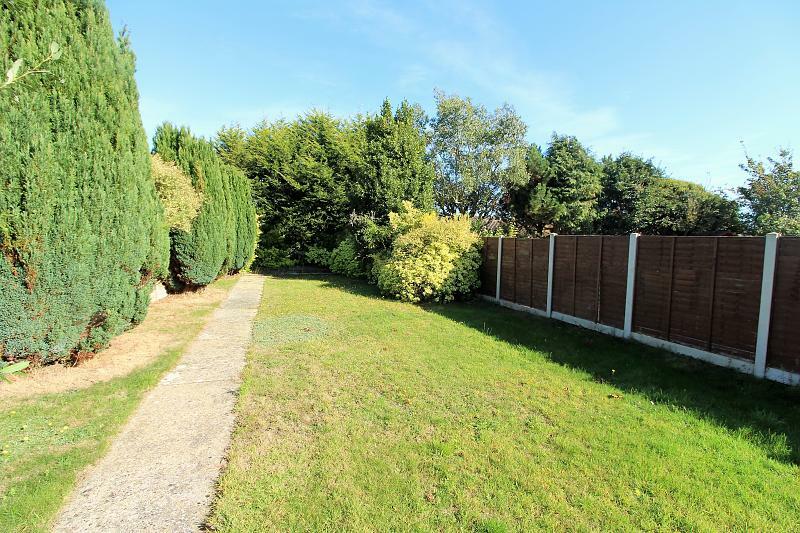 Gate opens into large fully enclosed secluded rear garden with wide paved seating area, lawn, pathway, inset conifers, high panel fence screen.